The HiBD team members participated in multiple events at SC'18!! 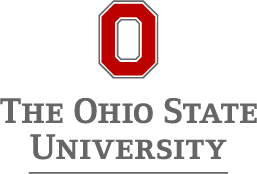 The OSU booth features leading speakers from academia and industry!! The HiBD team Provided Big Data Computing Expertise for Neuroscience in NSF BD-Spoke Project. The RDMA for Apache Hadoop package is a derivative of Apache Hadoop. This package can be used to exploit performance on modern clusters with RDMA-enabled interconnects for Big Data applications. Major features of RDMA for Apache Hadoop 3.x 0.9.1 are given below. 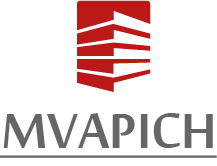 A complete set of features and supported platforms can be found here.. The RDMA for Apache Spark package is a derivative of Apache Spark. This package can be used to exploit performance on modern clusters with RDMA-enabled interconnects for Big Data applications. Major features of RDMA for Apache Spark 0.9.5 are given below. New features and enhancements compared to 0.9.4 release are marked as (NEW). The RDMA for Apache Kafka package is a derivative of Apache Kafka. This package can be used to exploit performance on modern clusters with RDMA-enabled interconnects for Big Data applications. Major features of RDMA for Apache Kafka 0.9.1 are given below. The RDMA for Apache Hadoop package is a derivative of Apache Hadoop. This package can be used to exploit performance on modern clusters with RDMA-enabled interconnects for Big Data applications. Major features of RDMA for Apache Hadoop 2.x 1.3.5 are given below. New features and enhancements compared to 1.3.0 release are marked as (NEW). Plugin-based architecture supporting RDMA-based designs for HDFS (HHH, HHH-M, HHH-L, HHH-L-BB), MapReduce, MapReduce over Lustre and RPC, etc. The RDMA for Memcached/libMemcached package is a derivative of Memcached/libMemcached. This package can be used to exploit performance on modern clusters with RDMA-enabled interconnects for Memcached-based applications. Major features of RDMA for Memcached/libMemcached 0.9.6 are given below. New features and enhancements compared to 0.9.5 release are marked as (NEW). The RDMA for Apache HBase package is a derivative of Apache HBase. This package can be used to exploit performance on modern clusters with RDMA-enabled interconnects for Big Data applications. Major features of RDMA for Apache HBase 0.9.1 are given below. 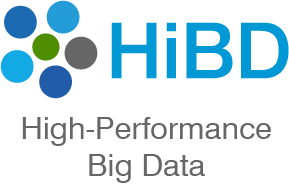 The OSU HiBD-Benchmarks project aims at developing benchmarks for evaluating Big Data middleware. The current version (0.9.3) of OHB consists of micro-benchmarks for Hadoop Distributed File System (HDFS), Memcached, Yahoo! Cloud Serving Benchmark (YCSB) extension for RDMA-Memcached, HBase and Spark. 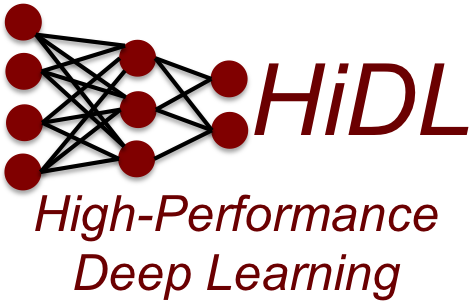 Upcoming Tutorials: Accelerating Big Data Processing and Associated Deep Learning at Supercomputing 2018 . Past Tutorials presented at: ISCA 2018, ASPLOS 2018, and HPCA 2018. Talk on TensorFlow Acceleration Presented at DataWorks Summit, Berlin, Germany. High Performance Big Data Computing (HPBDC) The Fourth International Workshop (HPBDC '18) was held in conjunction with IPDPS '18. Slides of the talks are available. OSU HiBD Benchmarks (OHB) 0.9.3 with support of YCSB Extension for RDMA-Memcached is available. Talk on Big Data Acceleration Presented at Hadoop Summit, Dublin, Ireland. RDMA-based Apache Hadoop 2.X is available on SDSC Comet for XSEDE Users. Visit here for more details.